I actually like to do a detail review on this figure so you can enjoy them more than just looking at it for 2 minutes. Enjoy my review and please answer the poll to see if my videos are ok or if the last to long. Categories: Uncategorized | Tags: ace, Megahouse, megahouse pop dx, One Piece, One Piece Collection, One Piece figures, pop dx, portgas, portgas D ace, theonepiececollection | Permalink. Question. Which Figure are you waiting for or which one you want? Which figure do you are waiting that you have pre-order and can’t wait to get or which figure you want to have but can’t have either because is too expensive of maybe because is to difficult to find. I hope you want to answer my simple question. I will wait patiently for your answers. Note: Thanks to Kaneda and Luis for their pictures. Categories: Uncategorized | Tags: cg-ex, figuarts, Megahouse, Mugiwara Pirates, One Piece, One Piece Collection, One Piece figures, sculptures, SCultures, theonepiececollection | Permalink. So far there hasn’t been a lot of pictures related to the festival. So I will just show you what has been released so far. Unfortunately there are no big surprises here. We have only see some new painted figures. 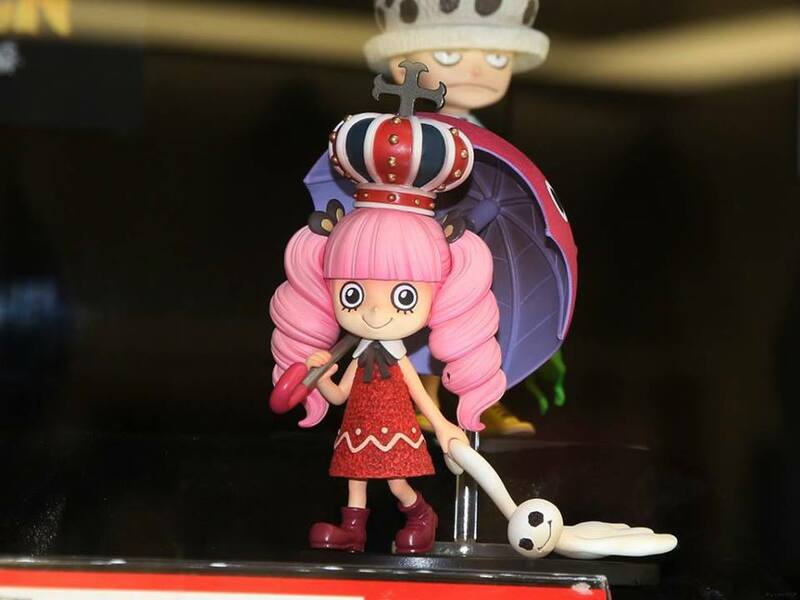 Like the momonosuke and Rebecca figure. Let me show you now all the pictures. Bartolomeo. Now Megahouse has shown Bartlomeo with a different pose that the one they showed at the JumpFesta. Do you like what you see? Here’s another pictures. This picture shows Momonosuke, Luffy Z and Bartolomeo. So far it seem that maybe Megahouse made the mistake of showing a lot of figures at the JumpFesta festival. Here’s the picture of Momonosuke again on a closeup. So far no date for his release. Now here’s a picture of Bellamy. This time they are showing Bellamy on a different pose than the one from before. Trafalgar Law its just amazing. Now they show him with a look without the hoodie on. Again Law it’s just awesome. No release either for him. Now Lastly but for me the best figure so far it is this Rebecca figure. Let me say this, Rebecca I don’t boo you or curse you. I just can say, you are a damn looking good figure. Here are some pics. Categories: Uncategorized | Tags: Bandai, Megahouse, momonosuke, One Piece, One Piece Collection, One Piece figures, POP, Portrait of Pirates, rebecca, theonepiececollection | Permalink. 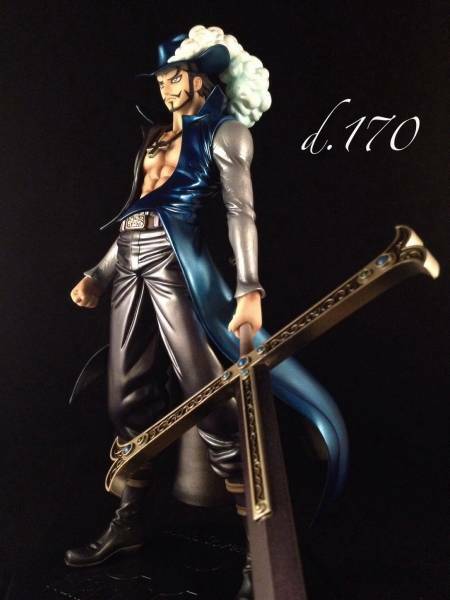 Found this custom figure of Mihawk by artist daikinn170. Hope you like the picture and let me know what you guys think of this custom POP. Categories: Uncategorized | Tags: Bandai, Dracule Mihawk, Megahouse, Mihawk, Mugiwara Pirates, One Piece Collection, One Piece figures, P.O.P, POP, theonepiececollection | Permalink. 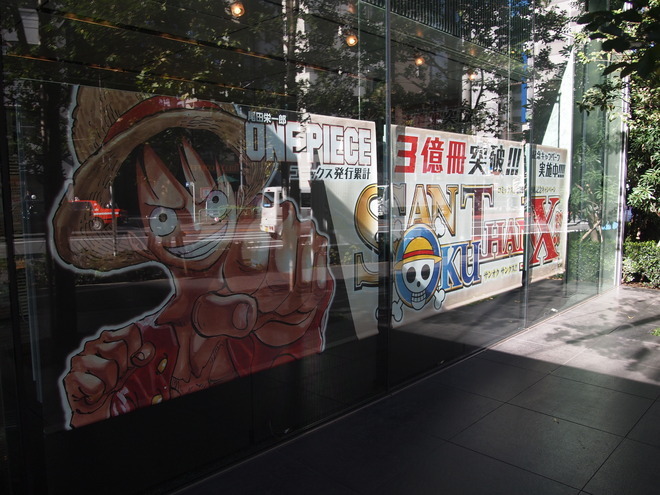 Did you knew that there is a One Piece Museum/Exhibit in Japan????? Let me show you an image of a One Piece museum or exhibit that is located in the district of Shueisha in Japan. Here are some pictures of a person that went to this awesome museum. Categories: Uncategorized | Tags: Luffy, Mugiwara Pirates, One Piece, One Piece Collection, One Piece figures, theonepiececollection | Permalink. 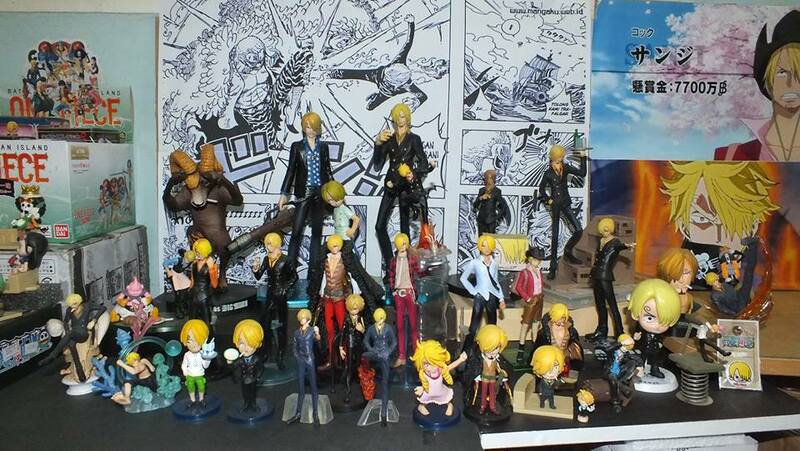 Are you a Sanji Fan? Love this pictures from the user Putranda M Rifky. He truly shows his love to the One Piece cook Sanji. Enjoy the picture. If you have pictures like this one please share it with us. Categories: Uncategorized | Tags: Bandai, Banpresto, Black Leg Sanji, Megahouse, Mugiwara Pirates, One Piece, One Piece Collection, One Piece figures, Sanji, Sanji fan, theonepiececollection | Permalink. I really like these new figures. 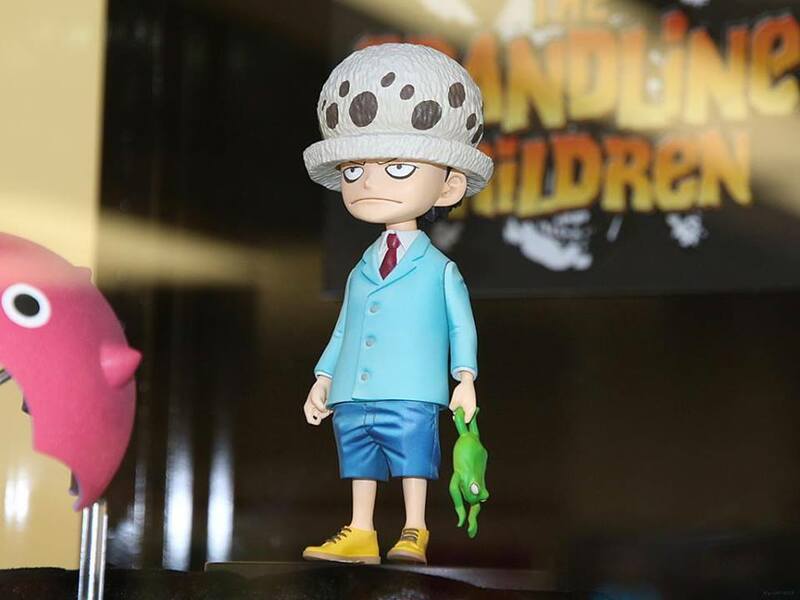 Look at these amazing One Piece children figures. I always like when a company release children figures because they are awesome. No doubt on these ones. You have to love Perhona and Law. Perhona and her little ghost so cute. Law as a kid looks awesome and I guess since he was a kid he had that weird look on his face of frustration jajajajaja. Categories: Uncategorized | Tags: Bandai, Banpresto, grandline children, Megahouse, One Piece, One Piece Collection, One Piece figures, Perhona, Perona, POP P.O.P, theonepiececollection, Trafalgar Law | Permalink.